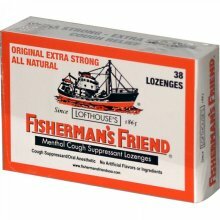 Fisherman’s Friends – made in Fleetwood, Lancashire, England. Wholesale but widely available. .